The Texas women’s golf team shot 289 on Tuesday to finish in fourth place at the Northrop Grumman Regional Challenge in Palos Verdes Estates, Calif. The Longhorns shot 875 over the three-day tournament, trailing first-place Stanford by eight shots. UCLA shot 869 to take second place while Southern Cal shot 871 to finish third. 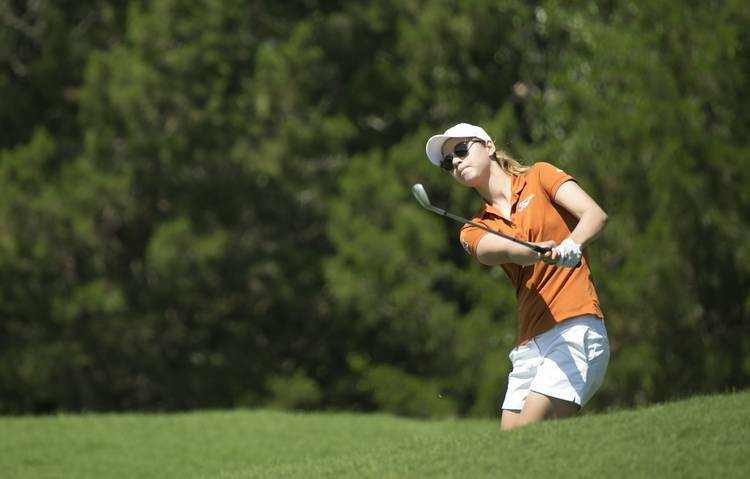 Agathe Laisne led Texas, shooting 214 for the tournament, including a 69 on the first day. She shot 71 on Tuesday to finish in a tie for second place. Laisne ended one stroke behind first-place Andrea Lee of Stanford. Sara Kouskova tied for eighth place after shooting 217. Laisne and Kouskova were the only Longhorns to crack the top 25. Kaitlyn Papp and Hailee Cooper each shot 225 to tie for 34th place. Emilee Hoffman tied for 51st after shooting 228.